Crime Watch: Moves to bring Dave Robicheaux to US cable TV! Moves to bring Dave Robicheaux to US cable TV! 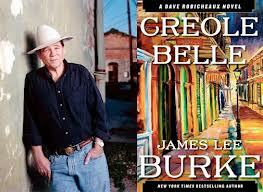 In some terrific breaking news (hat tip to Crimespree magazine), Deadline Hollywood is reporting that legendary crime writer James Lee Burke has signed a deal to bring his iconic detective Dave Robicheaux to cable television. It is still very, very early days, but from my perspective this would be fantastic, if it can be pulled off (plenty of material is optioned but never made, unfortunately). Robicheaux has previously been portrayed twice on screen - by Alec Baldwin in Heaven's Prisoners (1996) and by Tommy Lee Jones in Into the Electric Mist (2009). I saw the latter film on DVD, and although it wasn't a 'commercial success', I enjoyed it and thought it was actually quite good - if perhaps a little languid for some viewers. Deadline is reporting that Burke, whose 19th Robicheaux novel, CREOLE BELLE, has just been released in New Zealand yesterday, has signed a deal with Fox-based producer Hutch Parker, who has optioned the Robicheaux books and is packaging the series. I recently interviewed Burke for an upcoming large feature article in the New Zealand Listener (keep an eye out for that in about a week and a half) and he hinted at the time that there might have been moves to bring Robicheaux back to the screen; so I'm stoked (to use a Kiwi phrase) that things might actually be happening. As I said though, it's early days. After how well FX and Graham Yost did with Elmore Leonard’s U.S. Marshal Raylan Givens character in the series Justified, cable sounds like just the place for Robicheaux. There is certainly a wealth of material that can be used to paint the picture of the Vietnam vet-turned police detective who works out of New Orleans and whose temper–and imposing size–often leads him to meet criminals on their own vicious terms. Burke started the series with 1987′s Neon Rain, and Simon & Schuster just released his latest, Creole Belle, the 19th book in the series. Burke’s colorful writing brings to life the French Quarter like no mystery writer I’ve read, as he and his hot-blooded, tortured hulking private eye pal Clete Purcell take on the pimps, drug dealers, Klansmen and fat cats preying on the underclass. Burke has also worked his personal outrage with the conditions that caused the disaster of Hurricane Katrina into his prose, and he has won two Edgar Awards for his work and been named Grand Master by the Mystery Writers of America. It would be terrific to see a series about Robicheaux hit our TV screens. If it were to happen, who would you like to see play the lead characters - Robicheaux, Clete Purcel, Alafair, Helen Soileau, etc? Thanks. I'm a fan of James Lee Burke so I look forward to a TV series. I didn't mind the Alec Baldwin movie ( but it's a long time since I sen it) will have to check out the more recent one.